Last week I caught a snippet of news about a state legislator in Oklahoma who wanted to redo the Advance Placement History syllabus to emphasize the speeches of Ronald Reagan. I gather he was also not interested in any multicultural aspects of our history. And he also didn’t understand that changing AP history would keep students from getting college credit for the class – one of the reasons kids take AP classes. According to CNN, Oklahoma is only one state that doesn’t like the new framework for history under the Common Core. I don’t think that everyone will ever agree on what should be included in our history class. For example, the internment of the Japanese Americans into camps during World War II was never taught in my high school history class. I took care of that by doing a report on my grandparents. History is such a huge subject and these classes are designed to touch on a few highlights. And a framework is just that, a framework. Students and teachers can hang a lot of information within that framework. What frightens me is that some of the same people who think they know better than historians what should be taught in high school history are the same people who are also religious fundamentalists. Many in our fundamentalist Christian movement want to make Christianity the state religion. Forget that the U.S. Constitution prohibits establishment of a state religion. These folks like to carry around pocket-sized copies of the Constitution, but I don’t think they have actually read it. Will their next fight be to teach only about Christianity and not other religions and cultures? The limestone sculptures, statues and reliefs smashed by militants in northern Iraq provided valuable historical insights into kingdoms that flourished thousands of years ago and were crucial in the formation of early Arab identity, experts say. The destruction took place in Mosul, in one of the most important museums in the Middle East. On Friday, archaeologists and historians in Iraq and around the world studied a video posted by the Islamic State showing millenniums-old artifacts being smashed by sledgehammers, seeking to come to terms with what artistic and historical riches had been lost in an exercise clearly meant to promote the militants’ extreme beliefs and project their power. As with all news programs and video, the pictures ran again and again. I could only watch once. 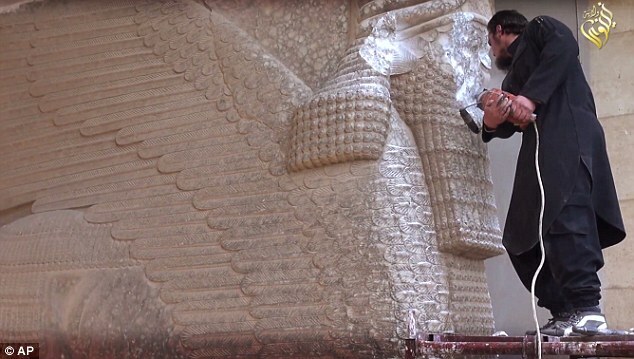 The region under IS control in Iraq has nearly 1,800 of Iraq’s 12,000 registered archaeological sites and the militants appear to be out to cleanse it of any non-Islamic ideas, including library books, archaeological relics, and even Islamic sites considered idolatrous. “Our prophet ordered us to remove all these statues as his followers did when they conquered nations,” the man in the video adds. The video bore the logo of the IS group’s media arm and was posted on a Twitter account used by the group. But this is only the most recent destruction of history. In January, Islamic State militants ransacked the Central Library of Mosul, smashing the locks and taking around 2,000 books — leaving only Islamic texts. Days later, militants broke into University of Mosul’s library. They made a bonfire out of hundreds of books on science and culture, destroying them in front of students. The day after Baghdad fell to U.S. troops in April 2003, looters burst into the Iraqi National Museum in the Iraqi capital, making off with scores of priceless artifacts and leaving the floor littered with shattered pottery. The U.S. was widely criticized at the time for failing to protect the site. Yes, we are also complicit in failing to protect world heritage. But it is the ransacking of the library and the burning of the books that leads me to a comparison to the fundamentalist Christians in this country. They have in common with ISIS a tunnel vision that allow only for one point of view. One religion. One way of thinking. It seems to me that all fundamentalists have a common root: To destroy that which is other or different. I am not comparing that Oklahoma legislator to an ISIS terrorist, let me be clear about that. What I am saying is that while the manifestation of their beliefs may be different, they share a desire to make everyone adhere to what they know is best. It is done through terror and killing in Syria, Iraq, and Africa and stupid legislation in the United States, but the end goals seem to me to be the same. A couple of days ago, I read a story in the New York Times about the discovery of a draft of a letter written in July 1775 to the British people from the American revolutionaries that was a last ditch effort at reconciliation. 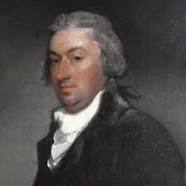 While the name Robert Livingston rang a faint bell, I did not remember learning anything about a letter back to England. It was lying in a drawer in the attic, a 12-page document that was not just forgotten but misfiled. Somehow it had made its way into a folder with colonial-era doctor’s bills that someone in the 1970s decreed was worthless and should be thrown away. Luckily, no one did. For when Emilie Gruchow opened the folder last summer and separated it from the doctor’s bills, she recognized it as a one-of-a-kind document. The letter, which Ms. Gruchow found last summer, was written in 1775 by the New York jurist Robert R. Livingston. A little searching led me to Yale University’s Avalon Project and the discovery that there had been two letters: one to the King and one to the “FRIENDS, COUNTRYMEN, AND BRETHREN!”. Both were from the Continental Congress. The letter to the King does not list all of the colonists grievances, but mentions them more generally. We shall decline the ungrateful task of describing the irksome variety of artifices, practiced by many of your Majesty’s Ministers, the delusive presences, fruitless terrors, and unavailing severities, that have, from time to time, been dealt out by them, in their attempts to execute this impolitic plan, or of traceing, thro’a series of years past, the progress of the unhappy differences between Great Britain and these colonies, which have flowed from this fatal source. We could wish to go no further, and, not to wound the Ear of Humanity, leave untold those rigorous Acts of Oppression, which are daily exercised in the Town of Boston, did we not hope, that by disclaiming their Deeds and punishing the Perpetrators, you would shortly vindicate the Honour of the British Name, and re-establish the violated Laws of Justice. That once populous, nourishing and commercial Town is now garrisoned by an Army sent not to protect, but to enslave its Inhabitants. The civil (government is overturned, and a military Despotism erected upon its Ruins. Without Law, without Right, Powers are assumed unknown to the Constitution. Private Property is unjustly invaded. The Inhabitants, daily subjected to the Licentiousness of the Soldiery, are forbid to remove in Defiance of their natural Rights, in Violation of the most solemn Compacts. Or if, after long and wearisome Solicitation, a Pass is procured, their Edects are detained, and even those who are most favoured, have no Alternative but Poverty or Slavery. The Distress of many thousand People, wantonly deprived of the Necessaries of Life, is a Subject, on which we would not wish to enlarge. Until Ms. Gruchow found it, only the final, printed version from July 1775 had been known to exist. She consulted with Michael D. Hattem, a teaching fellow and research assistant on The Papers of Benjamin Franklin at Yale. 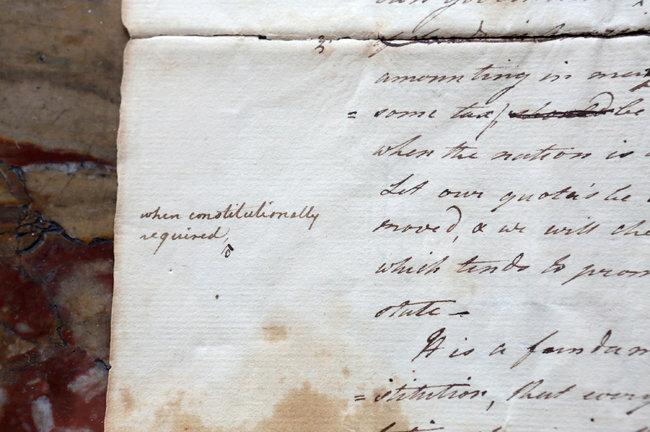 He analyzed the handwriting on the yellowed pages of the manuscript and did textual analysis that led to an unexpected conclusion: The document was written by Robert R. Livingston, a prominent New York jurist who had been on the fence about whether to support independence for the colonies. The following year, Congress tapped Livingston to draft the Declaration of Independence along with Thomas Jefferson, John Adams, Benjamin Franklin and Roger Sherman. Curiously, Mr. Livingston (1746-1813) did not actually sign the Declaration because he was recalled to New York before he could do so. I’ve searched, but could find no reason for his recall. He did go on to administer the oath of office to George Washington and, under the Jefferson administration, to help negotiate the Louisiana Purchase. And now we know that it is his list in a letter to the British people which likely inspired the list in the Declaration of Independence. I’ve heard that Americans might actually be more interested in the British Royals than the English. But who can help but admire Queen Elizabeth for her starring role at the Olympics. We are flying the Union Jack from the porch which over looks the site of an American Revolutionary War fort. (George Washington might be swallowing his false teeth about now.) But we are excited on this side of the pond, also. 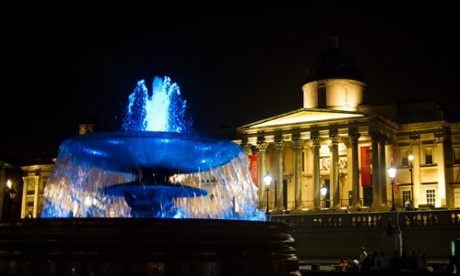 The fountains in Trafalgar Square are illuminated in blue to mark the birth of a royal baby boy. Earlier this summer I read Alison Weir’s biography of Elizabeth I so I was interested in the royal lineage laid out in the Guardian today. Baby Cambridge will be the 43rd monarch since William the Conqueror obtained the English crown in 1066, but is also 41st in direct line of descent from Egbert, King of Wessex, who ruled from 802 to 839. Through the paternal line, William and Kate’s first born is destined to be the great-great-great-great-great-grandchild of Queen Victoria. And, once grandfather Prince Charles and William have served their time on the throne, he/she will become the eighth British monarch to descend from Victoria and Albert, whose descendants have populated many a European throne. The Queen’s longevity means it is the first time in nearly 120 years that a still-serving sovereign has met a great-grandchild born in direct succession to the crown. Edward VIII was born in 1894, seven years before the death of Victoria. The infant’s royal lineage stretches back, on the throne of England, to the Anglo-Saxons through the Normans, Angevins, Plantagenets, Lancastrians, Yorkists and Tudors. Until 1603, English and Scottish crowns were separate, but following the accession of King James VI of Scotland (James I of England) to the English throne, a single monarch has reigned in the UK. The newborn will be the 20th monarch to do so since James VI of Scotland and James I of England (reigned 1603-1625), the son of Mary, Queen of Scots. James took over after the death of Elizabeth I. But it is through the House of Hanover that the new baby traces its direct lineage. When the Stuarts died out, the Hanovers came to power through James I’s granddaughter, Sophia, who married Ernst Augustus Elector of Hanover, and gave birth to George I, who would rule from 1714 to 1727. Hanoverian succession was a pretty straightforward affair for a while. George II (1725-1760), eldest son of George I and Sophie of Celle, married Caroline of Ansbach. Their grandson, George III (1760-1820), married Charlotte of Mecklenburg-Strelitz . Their eldest son George IV (1820-1830) married his cousin, Caroline of Brunswick, and succeeded the throne after serving as prince regent during his father’s final mental illness. George III was king during the American Revolution. …George IV was succeeded by another brother, who reigned as William IV (1830-37). At the time of his death, William had no legitimate children, however, he was survived by eight of the 10 illegitimate children he had had by the actor Dorothea Jordan, with whom he cohabited for 20 years. It was his niece, Victoria (1837-1901), the daughter of his younger brother, Edward, Duke of Kent, to whom the crown fell. The house of Saxe-Coburg-Gotha was established with Victoria’s marriage to Prince Albert. Their eldest son, Edward VII (1901-1910) succeeded and his marriage to Alexandra of Denmark produced five children. The eldest, Albert, Duke of Clarence, was expected to succeed, but shortly after his engagement to Princess Mary of Teck in 1891, he died during a flu pandemic. Instead his brother, George V, inherited both the crown and his fiancee and ruled from 1910 to 1936. It was George V who, given rife wartime anti-German sentiment, decided that Windsor was a preferable royal household name to Saxe-Coburg-Gotha. And so Edward VIII would be Edward Windsor, until he became Duke of Windsor on his abdication less than a year into his 1936 reign. That abdication, and the fact Edward had no children, led to the present Queen’s father, George VI (1936-52), becoming monarch with Elizabeth Bowes-Lyon at his side. Their eldest daughter, Princess Elizabeth Alexandra Mary, became the present Queen on his premature death. I hope Queen Elizabeth lives on to enjoy her great-grandson for many years.